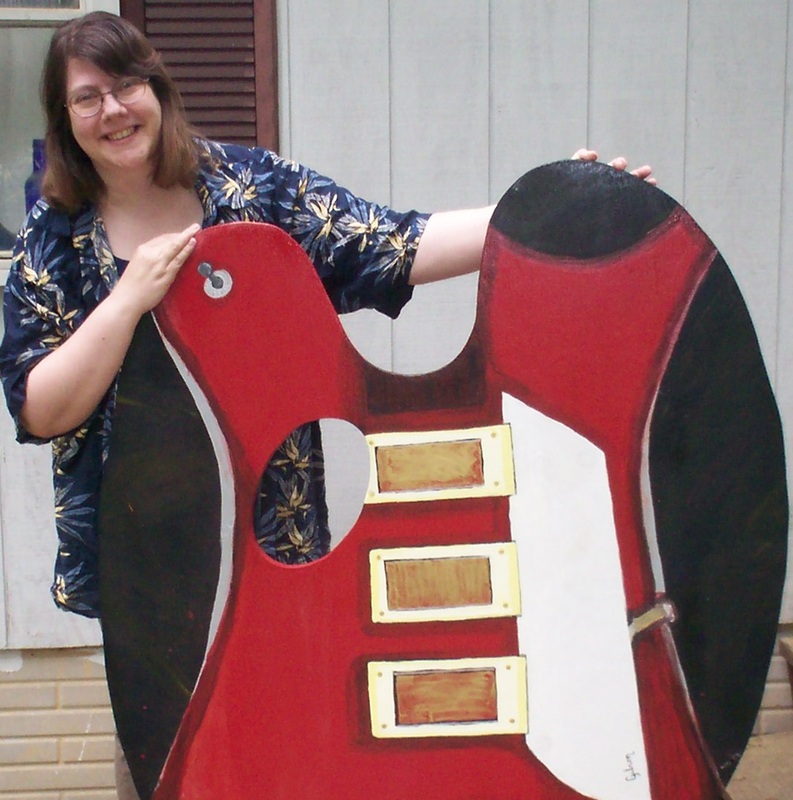 Life imitating art: after painting this guitar for a community art project, I ended up getting my own, shiny, red, bass guitar. I have it on rather good authority that I was indeed born and did not, as some claim, suddenly appear to a fanfare of angelical giggles. Anything after that it’s all up for grabs. I am your average computer geek, bass playing historical reenactor which is to say, rather than wishing I was born in another era, I’ve been determined to live in every era and every moment I can, and, having worked on filling up my life with hobbies and crafts and odd skills there was only one thing to do with them: write. I wrote my first song when I was 5, and I think I’ve managed to hide all traces and recorded versions of it to prevent blackmail attempts from stopping me from writing more (albeit better) songs. I wrote my first bit of fiction soon after and have been writing ever since. I live in the Eastern Panhandle of West Virginia with my husband and dog where I serve as a Deputy Sheriff’s Reserve and of course, write. The rest is anybody’s guess.